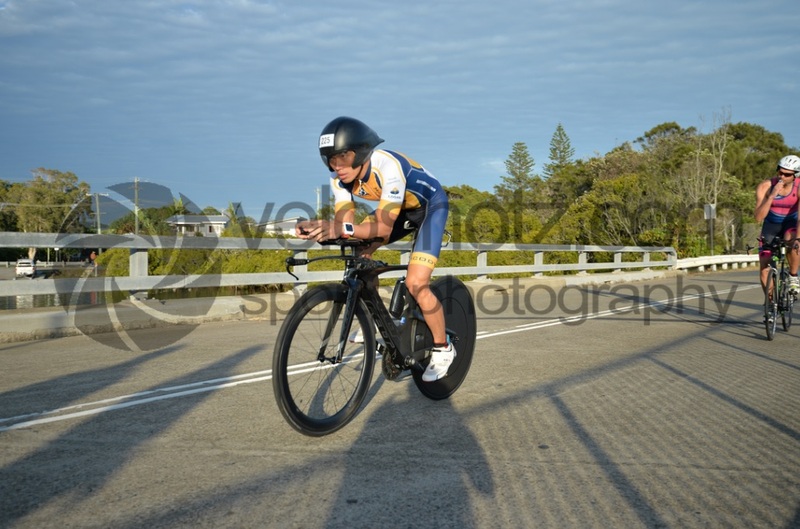 This is my third year in a row doing the Tweed Coast Enduro half iron distance triathlon. Located in Pottsville, just after the Queensland-New South Wales border and less than 90 minutes drive from home. Plus the entry fee is less than $250 (if you sign up early) so it was an easy decision to make. 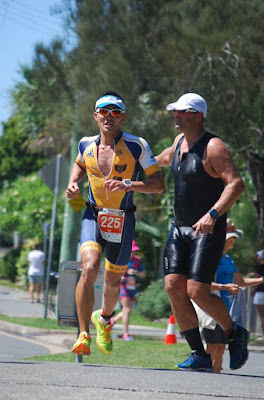 Having said that, the race is earlier in the year this time, as with many events got brought forward due to the Gold Coast Commonwealth Games in April, so having to get into good form shortly after the Christmas holiday season was a bit of a challenge. 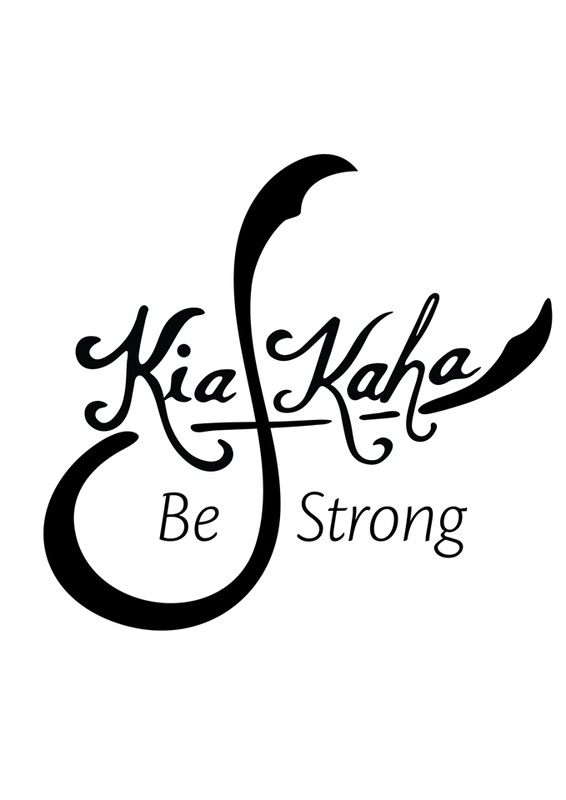 Being a Saturday race, I took Friday afternoon off work and stayed the night pre race with my wife and son in an airbnb, about 3.5kms from race site. I was considering driving down by myself on race morning itself but I'm glad I decided otherwise. With a favourable swim tide this year, we started about 6.30am (NSW daylight savings time) - 1.5 hours earlier than last year, which meant I had to leave the house before 3am. 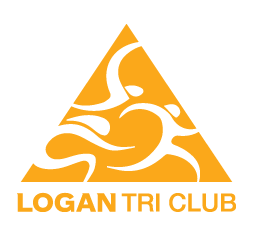 I met a few Logan Tri Club at the race pack pick up and it was nice to have a chat. Other than that, it was relatively low key, some of the expo stalls weren't even set up yet. In the evening, we took a drive to Cabarita Beach and had a really good seafood pizza at the local bakery. Race morning came and I woke up after a decent night's sleep. As good as a night's sleep could be, being in a different bed and with some pre race nerves. I cycled to the race site and it was still dark. I was overly cautious at one of the descends that comes to a speed bump, decided to unclip my pedals and walk that section. Didn't want to stack myself before the race even started! I had some minor issues while racking my bike. The black tape I used to cover the valve hole on the rear disc wheel were getting stuck in the brakes so I removed them altogether. Other than that, I took it easy, had my peanut butter and nutella sandwiches and banana. I was feeling full but I had my Clif bar anyway as I knew I would need the calories. One last visit to the toilets and then it was easy stroll to the swim start. A relay swimmer who was doing this event for the first time needed some directions so I asked her to join me and we had a nice chat throughout the walk. Water was 27 degrees, so non wetsuit. Being a point to point swim, this event prides itself with a downhill, current assisted swim. Although last year we swam against the currents, we were fortunate to have the tide with us again this year. Mine was the last wave at around 6.40am. The water at Mooball Creek had always been shallow and it seemed to be even shallower this year. There was plenty of water wading as the horn went off up until we turned left on the first buoy, where we could finally start swimming. But there were some sections where the sand built up again and then I could see some walking ahead. As I have shorter arms than the other guys, I was able to swim through these sections but not sure if I would have been faster if I walked. It wasn't long before I was overtaking some in the earlier waves and that always gave me a confidence boost. I was averaging about 1:30 per 100m as I checked my progress on my watch. Quicker than what I usually swim but not as quick as the first year I did this race. True enough, I hit the first timing mat in 31:11, over 4 minutes slower than the first year. But hey, it was over 10 minutes quicker than last year when we swim against the current, so can't complain. Looking at the overall results, the average swim times were slower compared to the first year too. My Garmin recorded just over 2km distance and I didn't think I was zig zagging too much. 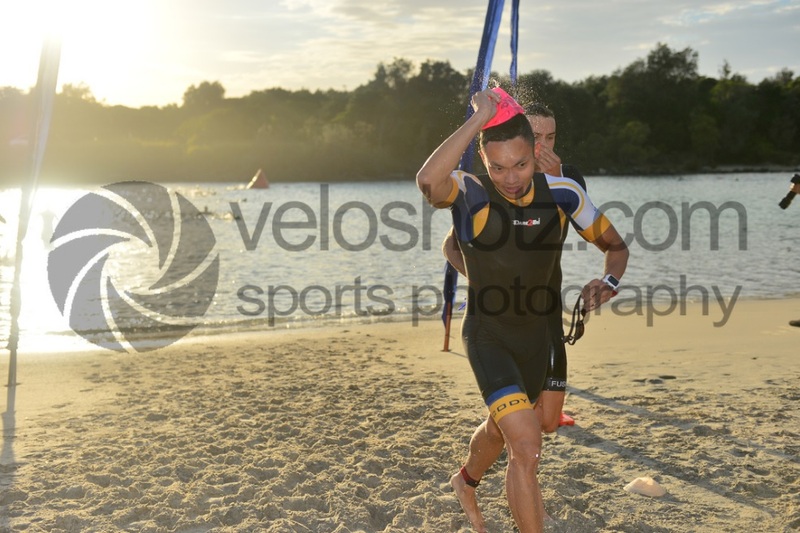 9th place in age group after the swim. I made sure I removed my swimskin this time as I forgotten to take it off last year. There were lots of loose grass sticking to my feet, so I spent a few more seconds wiping them off before I put my socks on. It took me a couple of tries before I was able to fly mount on the bike. I have to get myself to attend more of these brick sessions. The bike course is L shaped, 4 laps. It can get crowded at times but with a relatively small field, it wasn't so bad. The road surface is generally rough with some pot holes to look out for. Two noticeable inclines on each direction, with the rest being mostly false flats. Overall elevation for the 90km course was 200+m, so I would say this is closer towards a flat course than a hilly one. The last time I rode with the deep race wheels was in Busselton so thankfully, conditions were calm and there were no strong cross winds. So I could keep my nose onto the aerobars and hammer straightaway. It wasn't even 10km before I lost my spare tube and tire levers going over a pot hole. Probably the same spot where I lost my water bottle last year! Better not get a flat then. I was pretty consistent with my efforts. I was gradually building up the average power to about 180 watts and average speed to 35kph. I had the Garmin set to beep at every 10km and I was holding just under 17 minutes each time at first. The wind did pick up after two laps and I slowed down a bit, but not by much - just slightly above 17 minutes for the next few 10kms. 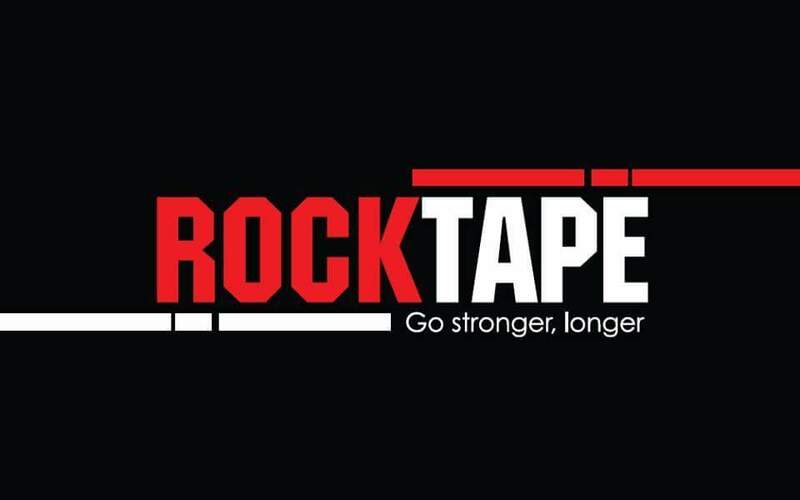 It was only at the last 8kms where a piece of sticky tape got stuck to my front wheel and that significantly increased the rolling resistance. By the end of the course, it seemed that it had picked up lots of debris off the ground as well, so luckily I didn't get a puncture. My Garmin recorded 2:34:31, bang on 35kph average with average power of 181 watts. 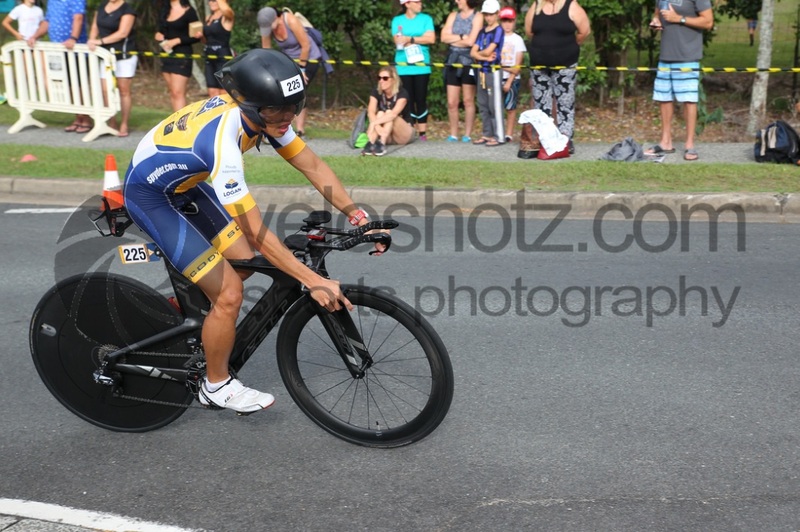 Official results was 2:36:49 including both transitions and I gained 1 place in age group after the bike. 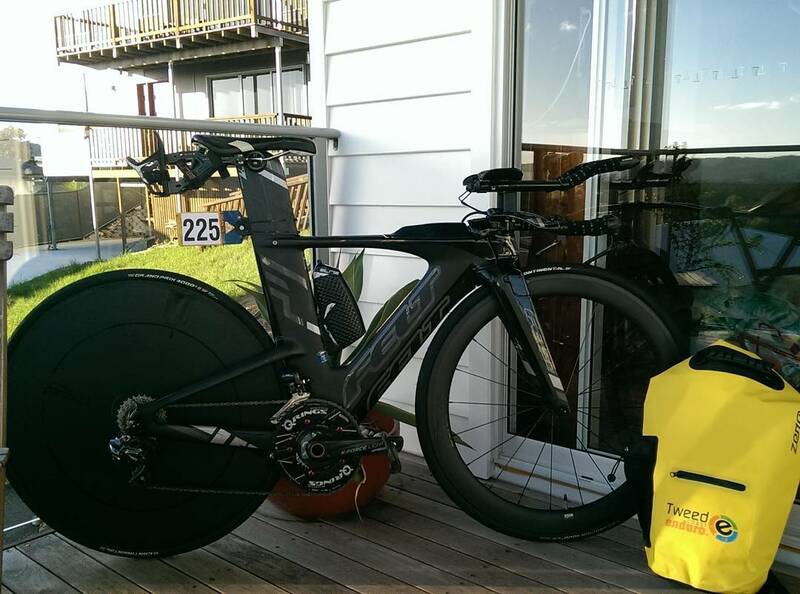 I was 3 minutes slower than my PB bike split, so I can't complain but I have some work to do if I want a PB finish. Nutrition taken during the bike - 3 Endura gels spaced somewhat evenly - start of bike, somewhere in the middle, just before bike finish. One 500m bottle of N8 Endurance - yes, I'm a bit of a camel - don't try this at home! Ran past my bike rack by a few spots and had to back track. Bent down to put the shoes on and everything else (sunglasses, visor and race bib) put on the go. I almost ran out the wrong direction but was directed back on track by an official, phew! The run course is 3 laps, shaped somewhat like a letter T with a short turnaround and a longer one. Mostly on footpaths and some sections on grass. Partially shaded with two short inclines as we run around the park. 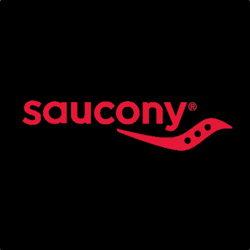 Having not ran off the bike for over 2 months and only started building up my long runs in the last month or so, I wasn't sure how my legs would feel. But surprisingly they were okay. 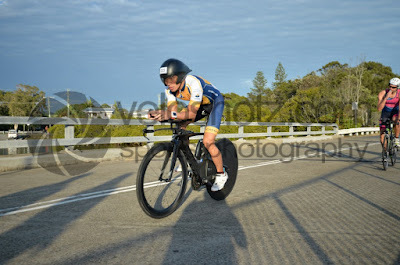 The leg turnover felt good, they always do at first because they mimicked the bike cadence. First few kms were done under 4:30 minutes per km. However, I only held this for the first lap. I could feel a twinge on my left quad and I had to be careful not to let it turn into a full blown cramp. It was getting hotter by the minute but the encouragement from the supporters and volunteers were great. It was also good to see fellow Logan Tri Club members out on the course and we gave each other motivation. I was aiming to take line honours but superstar Philippe put in too much time on me on the bike and I was only able to take a minute or so off him on the run. My run pace dropped to the 4:40s per km on the second lap and slowed further to the 4:50s on the final lap. I was really digging deep but trying not to cramp at the same time. 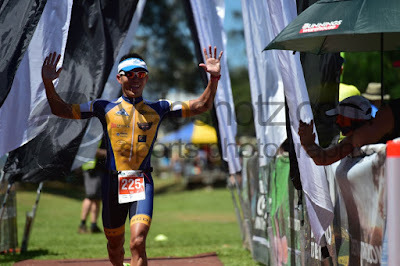 Finally, I got to the finish line with 1:37:22 run split and overall finish time of 4:45:23, placed 5th in my age group. I was a couple minutes slower than my PB on this same course two years ago but I can't complain. I felt strong throughout and this definitely made up for the disappointing DNF at IM Busso. 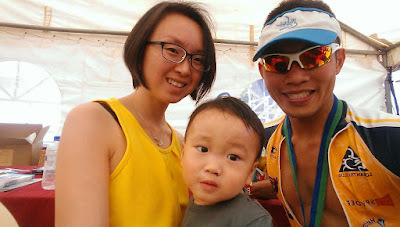 After the finish, I recovered in the shade with my wife and son. At this point, I'm more concerned about their well being than mine and am glad that they didn't suffer too much in the heat. 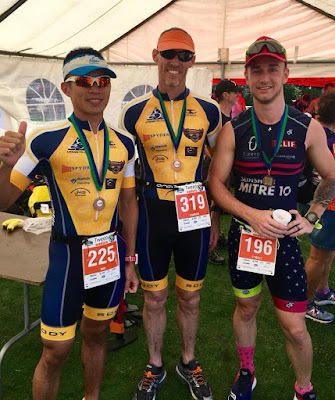 Finally caught up with the other club guys and great to hear that everyone did well. This is a well organized event and I truly recommend it, see you guys next year! One with the boys, we missed out on two more. Thanks Erika for this photo!